When selecting a suitable doorset solution, it is incredibly important to ensure that special attention is also paid to the door edge detailing, as this can have a major impact on the way in which the door functions and indeed, on its longevity. Here, Stephen Hutsby, NPD Manager from Leaderflush Shapland discusses the key points for consideration when it comes to choosing the most appropriate solution. Doors generally tend to be lipped on the vertical edges only, or alternatively, on all four edges. Facings can then be applied over the top of lippings to either conceal them or leave them exposed. From an aesthetic perspective, either option is suitable and tends to be selected based on how well one or the other will look when in place alongside the surrounding décor. When installed in areas that are subject to high levels of traffic, the leading edge of a door can become vulnerable to damage, either accidental or deliberate. 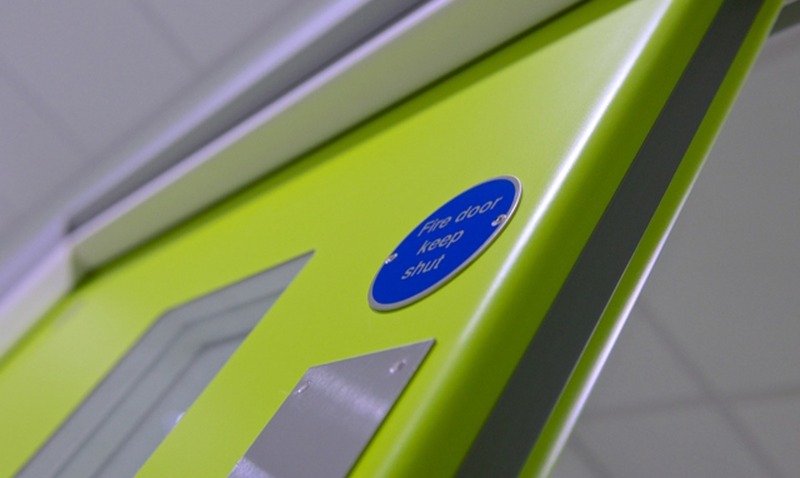 Over time, constant daily use can eventually become of detriment to the door edge – accidental impacts from users for example can weaken the door edge if it is not suitably protected. When damage is done to the door edge, it can look unsightly and can also pose a safety hazard for users too. There are of course environments where a more robust, hard wearing solution may be needed – in this instance, a doorset that incorporates postformed PVC faces/edges is ideal. n instances where doorset criteria conflicts, there are allowances and modifications that can be made to accommodate the requirements. To achieve fire certification for example, the door edges must not be rebated – however, other performances, such as acoustics ideally utilise a rebate to accommodate the seals in the meeting stiles of the doors, more typically, due to fire restraints, an astragal is fitted to the face of the door that the other door strikes when it closes. This creates a rebate without compromising important fire requirements. 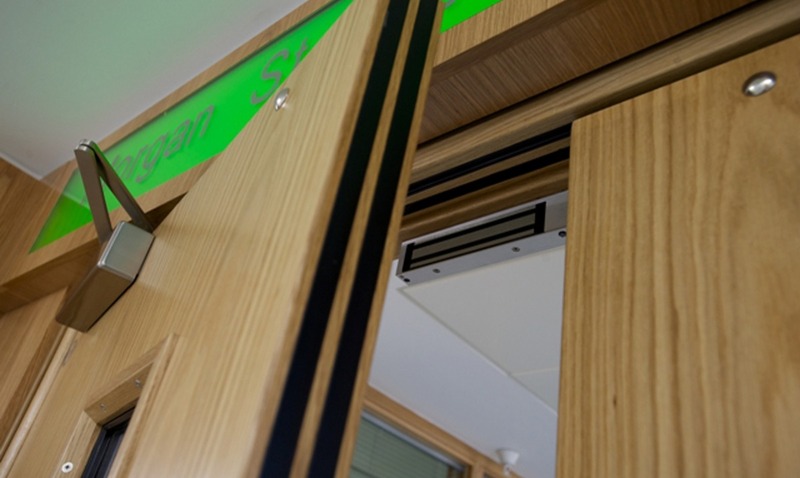 Security doorsets for example, require steel gap guards to be fitted to the primary/secondary leaf of the door, concealing and protecting the leading edge. To ensure a doorset is in line with the requirements of the Equality Act, there are additional points that must be considered. Ensuring an adequate level of visibility is key - the leading edge of the door must offer some level of visual contrast to the rest of the door, particularly in a ‘hold open’ situation. This can be achieved by using a contrasting 20mm intumescent strip or an edge guard, in a contrasting colour and/or finish. Of course, ensuring the correct door edge specification is made and is in keeping with the vast array of requirements set out, according to the location in question, can be incredibly difficult. Those who are unfamiliar with what is needed should turn to the help and advice of a specialist doorset manufacturer, such as Leaderflush Shapland. With performance, durability, accessibility and aesthetic qualities all to be considered, expert guidance can really help provide the peace of mind needed when broaching, what can be, a very tricky issue.